Automatic tire deflators allow you to spend less time airing down and more time off-roading. These deflators are 100% designed, manufactured and assembled in the USA. They are made of high quality brass and nickel plated to resist corrosion and rust. Once a set of J.T. 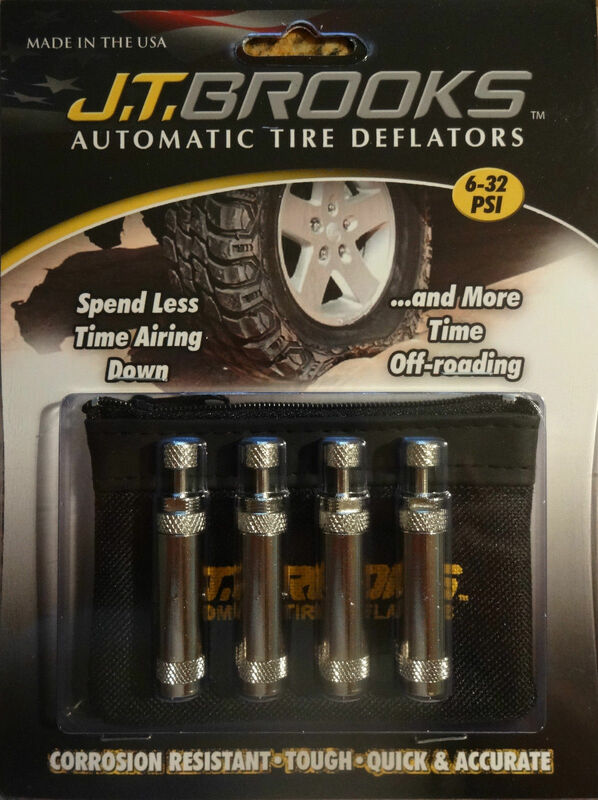 Brooks Automatic Tire Deflators are calibrated to your desired PSI, they are ready to use over and over again. 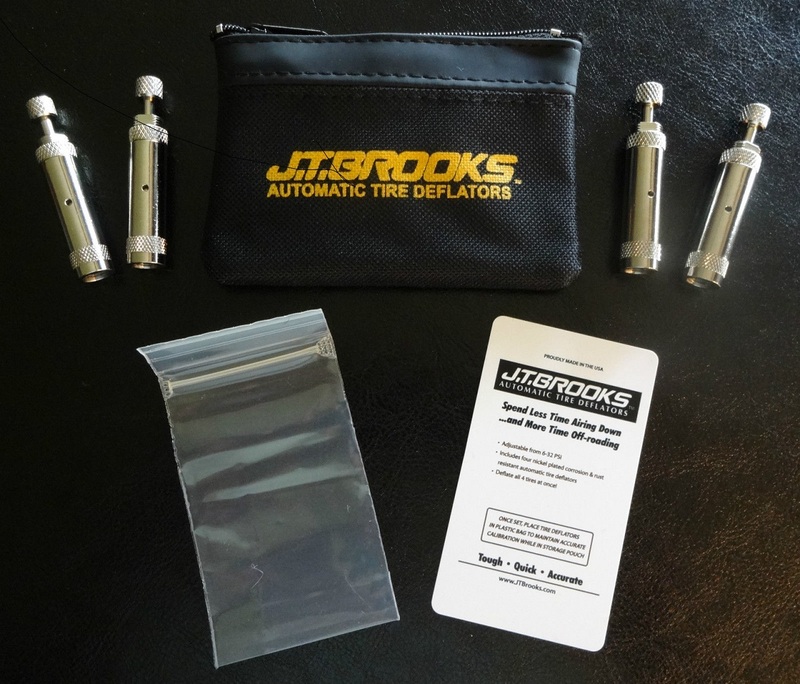 These deflators automatically and accurately deflate tires to a "set" PSI. 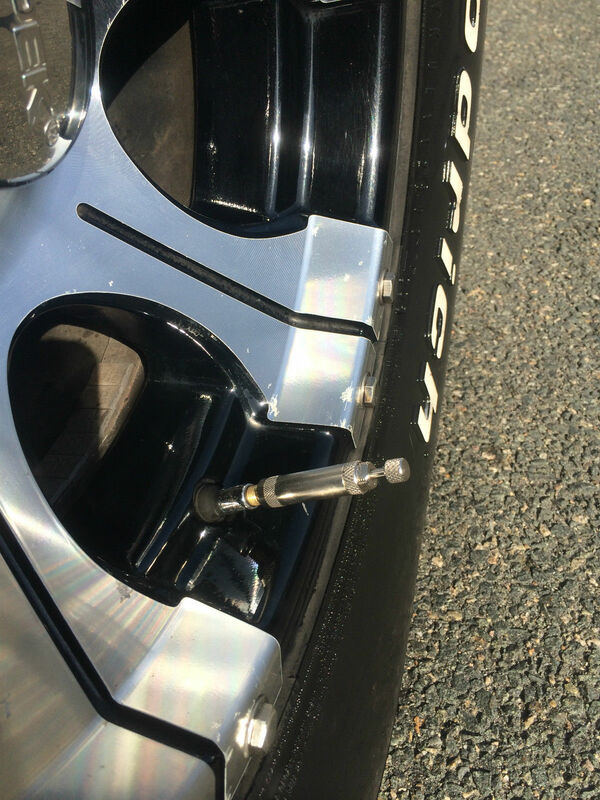 Simply lock the tire deflators in place with the lock nut, screw them onto each tire's valve stem, and let them do the work. 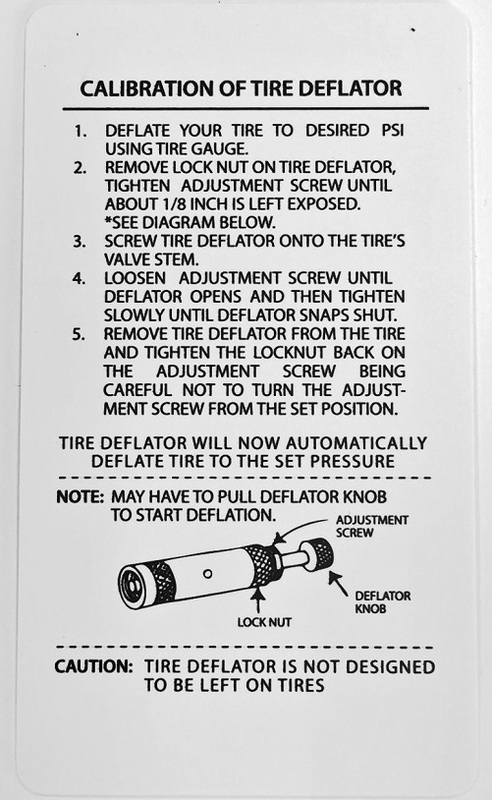 The deflators automatically shut off when the desired PSI is reached. This saves the user much time and frustration. By screwing one deflator onto each tire, all tires can be deflated simultaneously. This allows the user to complete other task while all tires are deflating. The automatic feature of these valves eliminates the need to manually deflate your tires, so you spend less time setting your tire pressure and more time off-road. Would have given them 5 stars if the shaft end of one wouldn�€™t have come off the first time we used them. Good thing is that it does not affect the function of the deflaitors. Still works fine. Bought 2 sets to air down truck and toy hauler to 20lbs while driving down the beach heading to the dunes. Just for Jeeps had the best price I found at $70 which I still feel is overpriced. $100 other places charge is just plane retarded. Hopeing to get at least a hand full of years reliable use with these. Brass ones started sticking open after a couple years, even after cleaning and calibrating. ProsFaster deflation, easier calibration and operation than brass deflaiters. Also easier to calibrate and don?t loosten up as easily. I've used them a couple of times now and they work great! Very quick since you can deflate all 4 tires at the same time.